A surprise package arrived at the compound a few days ago. 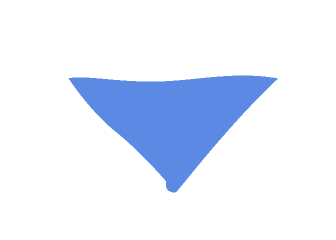 After it passed the security screening protocol, I was surprised to discover it contained a game I had worked on six years ago. 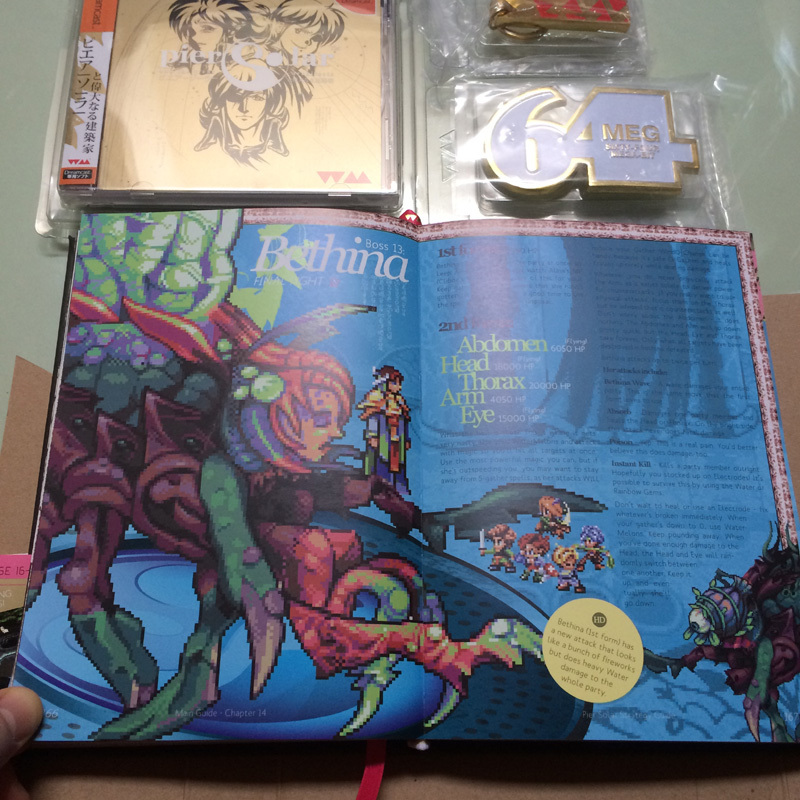 Not only did Watermelon ship two physical copies of the game (Dreamcast and PC versions), but also they included a variety of merch and a hardcover, full-color strategy guide. A spread featuring one of the bosses I made for Pier Solar. Inspired, I cracked open the vault and dug through project archives for more images to showcase from the game. This environment serves as a backdrop for battle scenes. 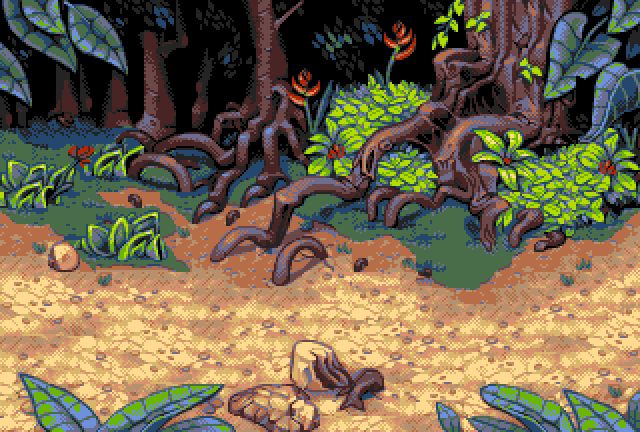 While you observe a jungle, I only see a jungle of graphical restrictions. 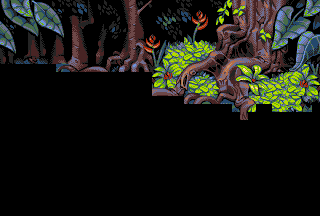 Because the game was originally created as a Sega Genesis cart, I was limited to a 16-color palette (the pink designates transparency) with a 3-bits-per-RBG-channel color depth. 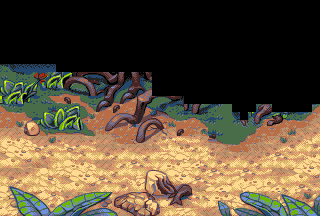 In addition, the background had to be built from 2 layers of 8x8 pixel tiles with a maximum of 255 tiles per layer. Fortunately, I was able to mirror individual tiles, which allowed me to get more mileage out of them and conserve the total tile count. 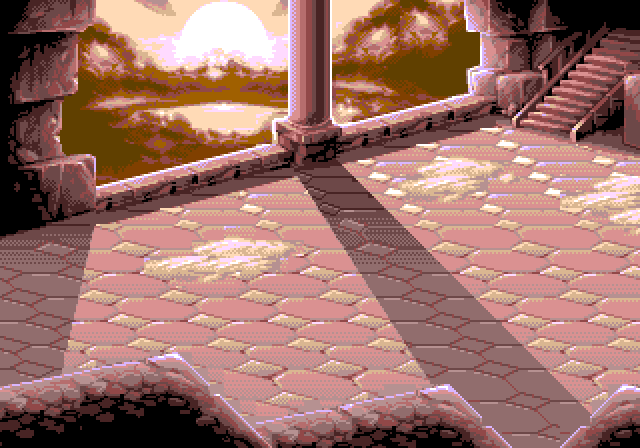 As a bonus, enjoy another battle background that my friend and former coworker, Andrew Bado, crafted for the game.